Many businesses are making the switch from PRI (Primary Rate Interface) to SIP trunks. There are many reasons to make the switch, but large businesses are finding that it’s easier, more convenient and more efficient to use a cloud SIP trunking solution. Why switch from PRI (Primary Rate Interface)? PRI is the old standby and the most reliable way of dealing with the public switch. It’s been around for a long time, tested against many scenarios and more people are familiar with it. But the times are changing. Many businesses are starting to discover that a SIP solution can help facilitate their business needs more efficiently and for less money. PRI is expensive, sometimes prohibitively so. Many of the reasons some businesses want to move away from PRI are because of the awesome expense of it. Every aspect from planning, to installation, to usage, to scaling will cost more and more. A good PRI infrastructure is difficult and expensive to implement, especially if you want fiber. PRI requires more equipment, and all of that equipment requires physical connectivity. If you want to add more connections or connect additional sites, you will need to add more equipment and even more physical connections. PRI is a solution that many businesses don’t really need. If your calling patterns are simply incoming and outgoing calls, then PRI may not be the most cost effective solution for you. PRI comes with subscription fees. Since there are such heavy physical requirements, you will have to plan PRI implementation closely. This will cost you time, downtime and even more money. Has your business ever lost several trunk groups all at once? Has your T1 dropped because of a fiber cut or some other issue? When there are such emergencies, your company will sit dead in the water. You typically have no choice but to wait for the technicians to troubleshoot and fix the problem. A process that can take many hours. Meanwhile, your business cannot make or answer calls. Depending on the nature of your business, this can cost you money and customer loyalty as well. When your PRI goes down, that’s it. Unless you have some redundancy built in, or you paid for a backup site, there’s not much you can immediately do about the problem. SIP allows for the automatic rerouting of calls. If one of the trunks goes down for some reason, then the call will loop back and reroute. SIP does not require much equipment, and it doesn’t require physical connections between sites. 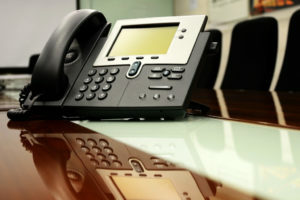 A cloud SIP trunking solution takes that one step further by allowing the connections to scale to as great a number as you need as long as the bandwidth is there to accommodate it. SIP is also more versatile since you can send voice but also data packets over IP to virtual networks, the Internet, phones and anything else that has IP connectivity. And none of that data has to go through the public switch. It’s those same reasons that will allow many businesses to consolidate their networks so they don’t have to maintain one for data and one for phone. Depending on your current network set up, you may need to put some heavy planning into making the transition. Many SIP providers will already know what needs to happen based on the circuits you’re already using, but sometimes such a big move will come with its own set of hiccups. You may have to go through a transitional period where you scale back your PRI network and simultaneously use SIP trunking as well. Even doing just that will save you money. Some like to use SIP strictly for the cheaper long distance calling. However, if you want to move away from a pricey PRI network, then you should look into cloud-based SIP trunking solutions for your business.